Over the past few weeks during my holiday in Canada, I have been asked many questions about various aspects of life in Kibaale including tooth care. Yes, we have a dentist named Noa (without the “h”) who comes to the clinic every two weeks on Market Mondays to see any patients who require dental care. At the end of each Market Monday, I always ask him how many patients he has seen and in the beginning I was surprised to hear that he would see such a large number of students, staff and Kibaale folks. One day he saw 49 individual patients. It would be great if he was filling cavities or cleaning teeth but the only thing Noa does is pull any and all teeth that are causing some discomfort or pain. Unfortunately, he does not always come which means that those students, staff or other community member who are suffering in pain with a tooth ache have to wait two weeks. On those days when he does not come, the patients are redirected to either our Medical Officer or comprehensive nurse so that those with an abscessed tooth can be put on antibiotics before seeing Noa the next time he comes to the clinic. Tooth care in not just about brushing your teeth but what you eat and drink. At the clinic, the staff love their tea in the morning with teaspoon after teaspoonful of sugar. And when company comes to visit me in Kibaale, I have been informed that it is an expectation that I offer the person a glass of water or a cup of tea. I can serve a cup of tea without milk but never without sugar. I must always be prepared for guests. The stable food of Kibaale and the surrounding region is Matoke. I have been told by the clinic staff that if they do not have Matoke as the evening meal they have not eaten. It is like us eating a large plate of only rice, pasta or potatoes. Matoke is a certain type of green banana which is peeled, wrapped in leaves and steamed for hours in a pot over a charcoal fire. Uncooked it is white and fairly hard but after hours and hours of steaming is becomes soft and yellow. A sauce is served along with the matoki. The sauce is usually made of tomatoes, onions and green peppers. These are the only vegetables they eat that I am aware of. Rice, posho, potatoes, beans, pumpkin, chicken, beef and fish are extras and served if affordable and/or available. The staff will occasionally buy a few avocados to share with their lunch. But they think that avocados are expensive at 200 to 300 shillings (8 to 12 cents US). So how do the folks in Kibaale satisfy their “sweet tooth?” Sugar cane is a popular treat…. they buy a small piece of sugar cane 8 to 12 inches in length and chew until the only thing left is the fibers which they spit out. Bottles of pop or sodas are available but too expensive for most at 1,000 shillings or 40 cents US. Many small business make up a sweet sugary drink and sell a cupful in a small plastic bag for a few shillings. There are the single candy for 100 shillings or packets of glucose (sugar) for 500 shillings. 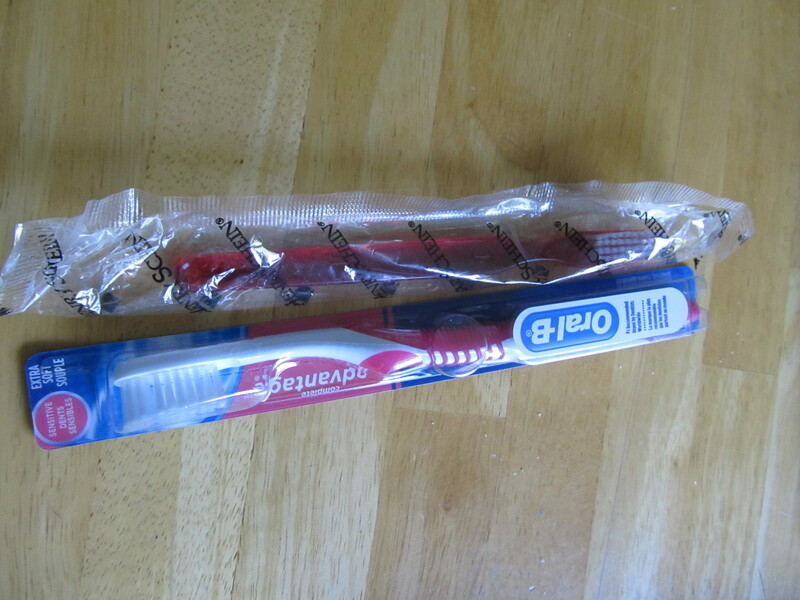 It is sad to say that I have not found any toothbrushes or toothpaste in Kibaale…. and they are not readily available in Masaka. So how do the students, staff and community members take care of their teeth….. Noa, the dentist tells me that very few people know anything about tooth care. One of my hopes for the next year is to teach tooth care from brushing their teeth to increasing foods that are more healthy.